Thanks for visiting our website: www.wtsa2.com. Feedback Received From Buyers: 100% Positive Feedbacks, received by wtsa29673. 6.) Product worked great, did not need religious propaganda sent with it though [Buyer: arceneaux69( 0 ) May-17-06.] WTSA's note: It's Attitudes like his, not the LORD God, that sends people to HELL!! Feedback Received From Buyers: 98 Positive Feedbacks, received by wtsa29673 (1 Neutral, 1 Negative & 1 rating mutually withdrawn). The 1 negative feedback was by "smaker" who refused to negotiate her problem us. Her complaint?... The product's light bulb burned out. Afterwhich, she expected a full refund (some $26) over a .50c light bulb! To this, we deferred her to our 'No Refund' policy. After we tried through several attempts via email, she refused any further discussion and she moved forward to gave us "Negative FeedBack". Smaker falsely claimed the item was "not accurately described" in the listing?! WTSA's note: "smaker" did not adhere to and disregarded our "No Refund" policy.... In e-mail exchanges, we explained to "smaker" about our "no refund" policy and the items were used. She changed her INITIAL complaint from "the microscope's light bulb burned out", which burned out after she used it, to: "... missing pieces (not specified... "). She lied in her statement of [they] "won't resolve..." The fact is: she refused our concession that we would send her the "missing pieces" which were inadvertently "left out". 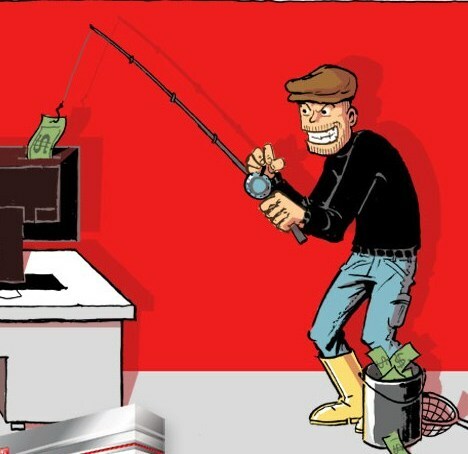 She was just fishing for some way of getting a refund after a .50c lightbulb burned out! And, she did get a refund but she still chose to leave us negative feedback... BEWARE of "smaker" while on ebay! The following was our attempt to expose eBay's problem in their formating page that people use to list and spell out their "Refund Policy". We originally placed this article on eBay's "Discussion Board" but eBay apparently cannot take "Negative FeedBack" because they quickly removed it! (Well, eBay can't remove it here :)' Click onto the link to read the cached copy of it:eBay's Disappearing Refund Policies . Know this: You must state in the body of your listing the following in BOLD letters: NO REFUNDs. Don't rely upon the little "refund policy" box on the listing format page on eBay, it automaticly defaults to not showing it when your listing "goes live". Had we known this then " smaker " would not have had as much leverage in her request for a refund. Ebay's "disappearing refund policy" is nothing more than eBay and PayPal's denial of their fiduciary relationship to their paying customers (the sellers). On top of that, both eBay & PayPal keep the listing / transaction fees earned off of the canceled sales! 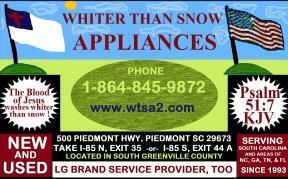 Thanks for visiting the Official Web-site of Whiter Than Snow Appliances. Add us to your Favorites' List! If you have contacted us with a question or product request for special order then we will get back to you within a few hours, except on Holiday occasions. who is not willing to give their names with their opinions.